DOES australia have a culture problem? It’s been great to see Russel Howcroft putting the spotlight on creativity over the past few weeks, and what it means for Australia. At a time when the world is recognising the increasing importance of creativity and innovation to economic performance and growth, Australia is lagging behind. To put it bluntly, we have a culture problem. One of the fundamental blockers to creativity in the corporate Australia context is that, generally speaking, we do not operate in a risk tolerant business environment. This primarily has its roots in our history, with the backbone of the Australian economy having been built on stable lower risk industries. As a result, the mindset of much of Australian business today remains relatively risk avoidant, with a preference for dealing with the safety of the status quo. Contrast this with the United States, a country that was primarily built out of entrepreneurial individuals who took a risk by migrating to a land unseen to chance making their fortune. Much of the economic success of the United States can be attributed to a risk tolerant mindset that permeates the business environment. Culturally, there is support for new ideas and new ways of doing things. It’s not perfect, but there is ongoing innovation, evident most recently in the success of the start up culture. If Australia wants to become more creative and by extension more innovative, a key part of this is going to be embracing a more risk tolerant business culture. Creativity in the workplace is about coming up with new and useful ideas that make things better. In order to take advantage of the great many benefits that creativity delivers (greater profitability, greater employee engagement and reduced staff turnover, just to name a few), organisations need to be comfortable trying new things and accepting that some won’t work. Becoming more risk tolerant doesn’t mean throwing good judgement and prudence out the window. But it does mean taking an inventory of what aspects of the business can withstand the uncertainty involved in the process of trying something new, failing, and trying again for the purposes of achieving something that will ultimately make the organisation better and more successful. As more and more organisations take this approach, Australia will develop a culture of creativity. This is what we need. Creativity at work. Sounds good doesn’t it? In theory. But in reality, there are projects to deliver, investors to impress and employees to manage. It would be a nice add-on… at the end of a very long list. So what would be worth an organisation investing their time, money and effort to prioritise creativity at work? Creativity is the seed for innovation, and research has found that innovation is one of the key factors that influence the long term success of a company. Companies high in creativity and innovation also experience increased productivity, greater employee satisfaction, greater employee commitment, reduced staff turnover, and greater attractiveness to potential investors. In short, creativity pays very attractive dividends. So why is creativity not the top priority for every ambitious organisation seeking excellence in their field? First up, there are some misconceptions about what creativity at work actually means. When we talk about creativity, we’re not talking about hiring creative individuals or coming up with innovative products. We’re talking about creativity as the production of new and useful ideas by individuals in the workplace. It’s about creativity on an organisational level – creativity as a way of working. Secondly, there is the belief that creativity is an abstract concept that is hard to define and objectively measure, let alone build a business case around. The truth is, organisational creativity has key performance indicators that can be measured and developed just like anything else. Conducting a creativity audit is the best place to start to get a good read on where your baseline organisational creativity is at so you can develop and strengthen your capability. Every high performing organisation has at some point understood the value of trying something different in order to succeed. As the new year approaches and thoughts turn to strategic priorities, we challenge you to consider adopting creativity as the enabler to achieve the outcomes you’re seeking in 2019. It may be the best investment your organisation has ever made. Acting is uniquely human. In fact, acting can be a misnomer because when it is done well, acting is all about being real – and authentic. Actors are great communicators. That’s because they are highly skilled in empathy and they have the ability to see things from multiple perspectives. They are able to put themselves in someone else’s shoes and ask - what would be important for me to hear if I was this person, and in what way would it have the greatest possible impact? Actors are also able to teach the functional skills of communicating. We all have a voice – actors can teach you how to use it influentially and how to tell stories. Actors communicate emotions and situations with such clarity that it makes a mark on us. It is memorable and it elicits a response. In addition, learning from actors allows business to experience the perspective of the actor – a different, creative, perspective that can spark innovation and turn existing problems on their head. There is much to be learned from actors that can give your organisation the x-factor. At Live Culture Company, our Actor-in-Residence program gives you a unique insight into how these skills can be applied in a business communication context. Contact us to see how we can help your organisation develop a culture of influential communicators. When your team wins the grand final, you tell people. It should be the same when your organisation has a purpose. At Live Culture Company we emphasise communication as a critical component in ensuring success of a purpose-driven culture. Communication, like a muscle, needs to be exercised regularly to have full effect. This communication needs to happen internally and externally. While seemingly simple, it is something we so often get wrong. In a world where time is money and we have more deliverables and less time, communication is passed over for convenience without considering the consequences. But if we did communicate more influentially, could we achieve more? If you have these three ingredients you are more likely to inspire people to take action towards your intended goal. People love to be understood and influential communicators demonstrate authenticity by using empathy to connect; engage others by using stories to inspire action; and communicate with confidence to persuade people to believe in the cause. Our Actor-in-Residence program equips leaders to communicate this way. Regardless of what your purpose is, if you can’t communicate it, no one will buy into it. And in an ever-increasing competitive landscape you can’t afford that. Contact us to help kick more goals and boost your organisation’s communication capability. We all know that a zebra cannot change its stripes. Zebras are quite literally individual - they are also social animals that live in small tribes or large herds. It struck us at Live Culture Company that this is how organisations should operate in their pursuit of developing and nurturing purpose-driven cultures. Organisations should foster an environment where individuals can bring their unique attributes and their whole self, to the workplace. Where their uniqueness and individual strengths are something to be celebrated rather than toned down. When organisations do this, we’ve noticed that employees are more willing to support the existing culture and buy into the bigger picture. Employees are content in their tribe and happy to run as one with their herd. They’re happy to do so because they are contributing their own individual strengths to the greater cause. They feel valued and they are united by a shared purpose – even though they are different. Quite often organisations wonder why their engagement scores are low, or turnover is high or their people aren’t performing to the level expected of them. We believe a large contributing factor to this common problem is that all too often individuals are expected to ‘change their stripes’. They have to conform. They are expected to act in ways that aren’t suited to who they are. 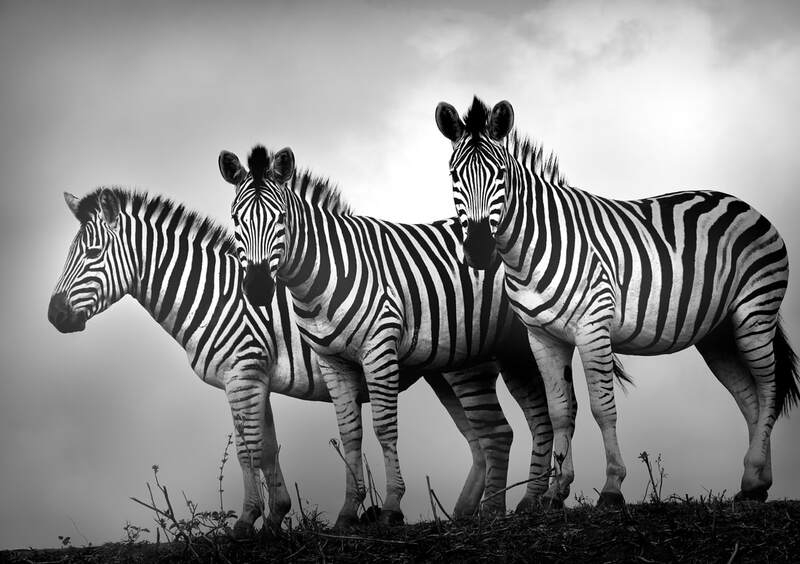 Our work encourages organisations to get to know their zebras and help them bring their stripes to the table. It’s about investing on an individual level and getting to know and engage your employees. What motivates them? What are they passionate about? What other areas of expertise do they have beyond their job description or skill set that they can contribute? When you know this, you can unite them meaningfully behind a shared purpose. When organisations engage employees on this level, they flourish. Why? They feel a part of something, but in a way that is unique to them – they fit. Contact us to help bring your employees’ stripes to the table.